Hello everyone! 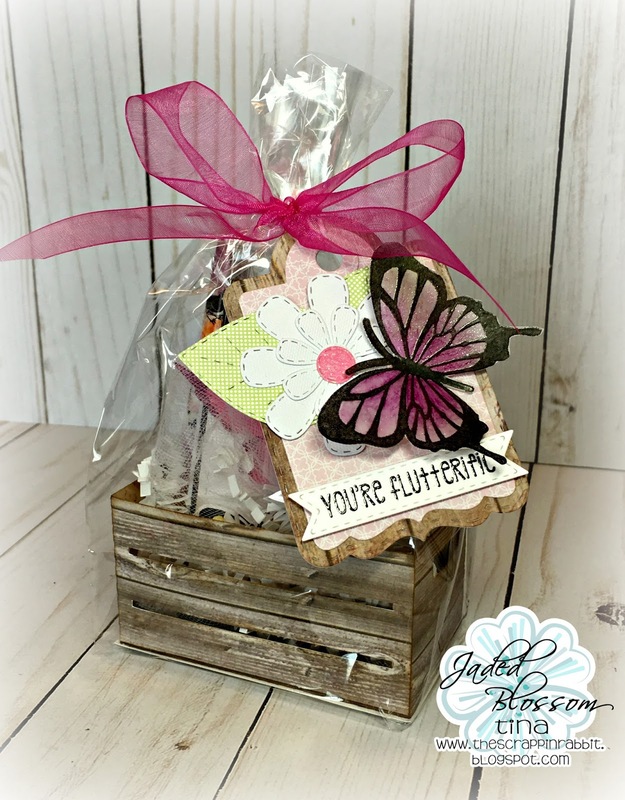 This is Tina from The Scrappin Rabbit and I have a Mini Notecard Gift Set to share today featuring the Jaded Blossom Butterflies stamp set. 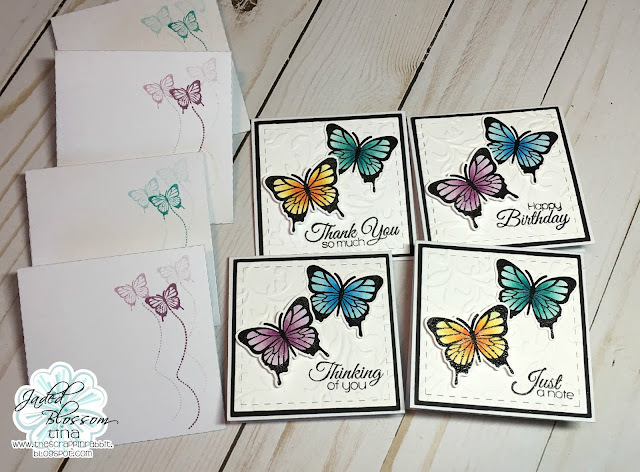 I used the Card Mat Dies and sentiments from the fabulous Simple Sayings stamps. 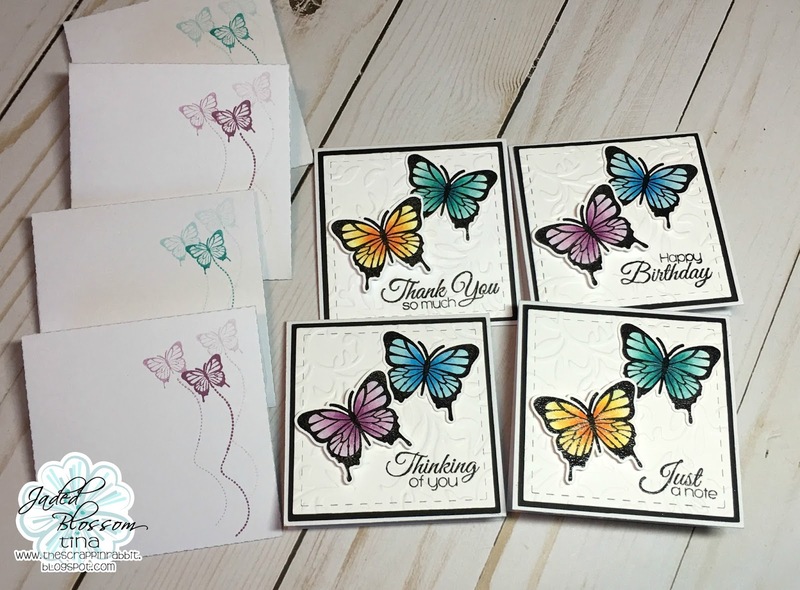 I also used the Envelope Dies and stamped them using the triple stamp technique to add a simple but elegant touch to them. 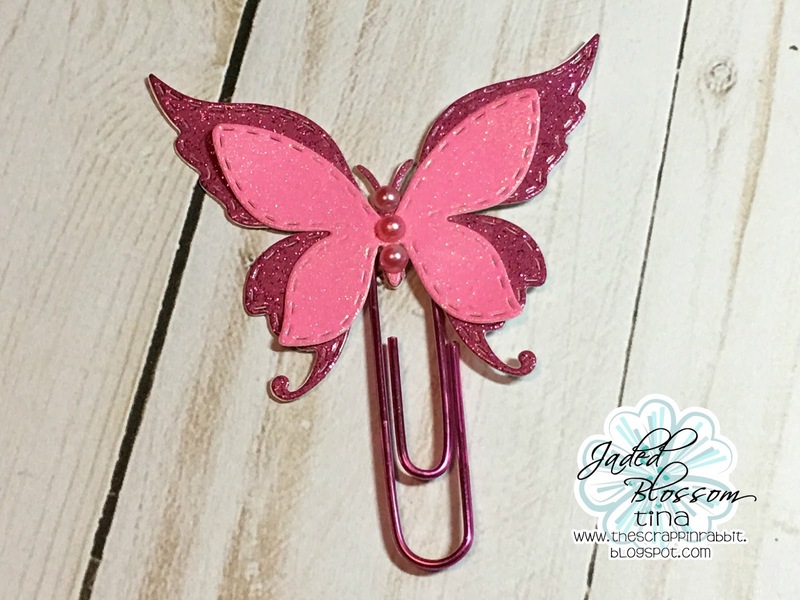 I also added a planner clip that I created using the Spring Dies 2. Gorgeous creations!! I love the butterflies! This is just adorable!! I love your sweet butterfly clip!! So pretty, I love the card set!! The paper clip is really pretty too! !